Do you desire a dry, flat, stable surface that is infinitely more interesting than concrete and comes with a written warranty? Then consider a paver patio or walkway. 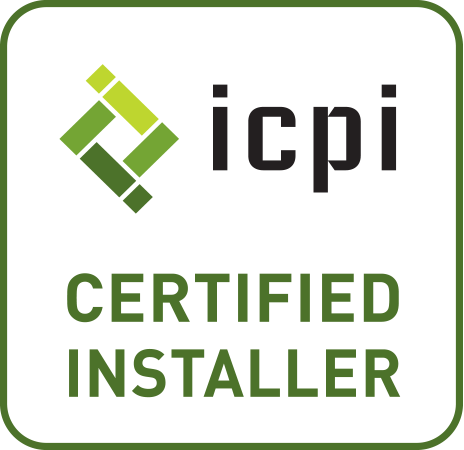 We have completed the rigorous ICPI (Interlocking Concrete Paver Institute) certification program and have the tools and know-how to install your paver project right the first time! 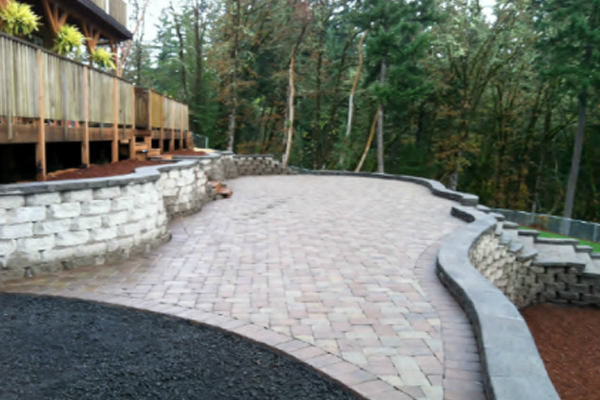 Check out more of our craftsmanship in our Natural Stone and Paver Driveways Sections. 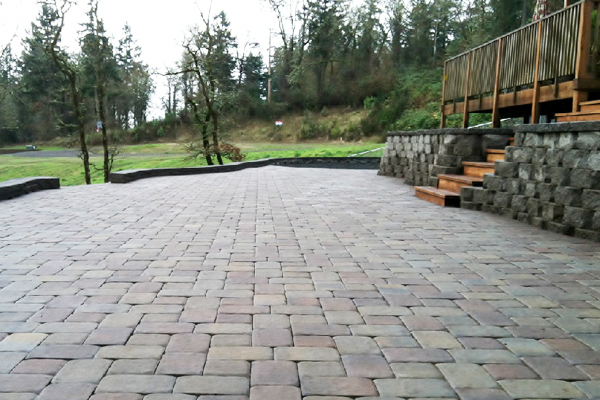 Have you ever sat around wishing that your paver patio project could come with a warranty? We thought so! And since we believe in our skills, education, and experience so strongly we have instituted industry-leading warranties on all of our hardscape projects! 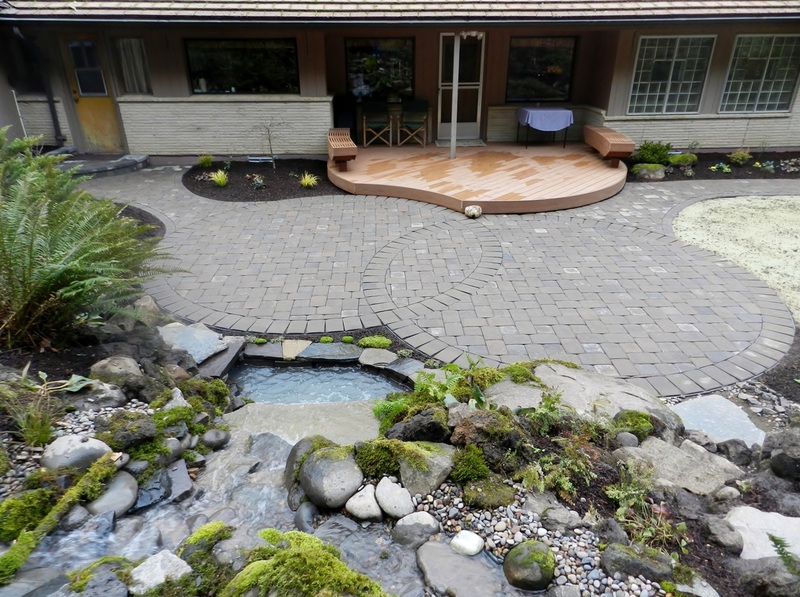 Our Belgard paver patios come standard with a lifetime warranty directly from the manufacturer because they are installed by a Belgard Authorized Contractor, Graham Landcape and Design LLC. 1. We can warranty the installation and the material against cracking, sagging, and buckling. Its hard to find a concrete contractor that will be able to warranty their concrete installation against cracking. Concrete just cracks, it is a normal condition. 2. If any repairs or changes are needed to the pavers or surrounding landscape, the pavers can be lifted up (with the right, professional tools) and replaced without being able to notice a difference. 3. Trying to match concrete or even stamped concrete can be extremely difficult, if not impossible if trying to make a repair to a crack or expanding the hardscape area in the future. Pavers can be replaced and matched relatively easy. 4. We can create and install just about any curve, design, mix of colors, textures, sizes, you name it, the possibilities of the paver design are endless. 5. Paver hardscapes are more environmentally friendly. Water can drain through these applications (especially permeable pavers) vs. concrete which must drain off-site, adding to the stormwater issues many communities are already struggling with. 6. Pavers are manufactured and rated at 8000-10000 PSI, concrete is typically mixed to a 3000-3500 PSI, pavers are manufactured stronger and therefore are more durable and will withstand the test of time better. 7. Pavers can be walked on or driven on immediately, no need to wait a week or two for the pavers to cure like the typical concrete waiting time.